Model Animal Research Center (MARC), Nanjing University, China (Director: Zhongzhou Yang, Ph.D.) and RIKEN BioResource Center (BRC), Japan (Director: Yuichi Obata, Ph.D.) have been co-organizing a short educational course focusing on mouse genetics and related experimental technologies for young scientists. 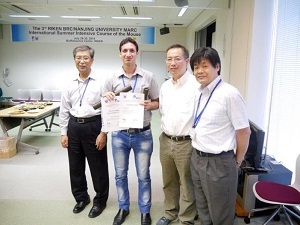 The 1st course was held from August 27 to 29, 2012 in Tsukuba and the 2nd from July 29 to 31, 2013 in Nanjing. 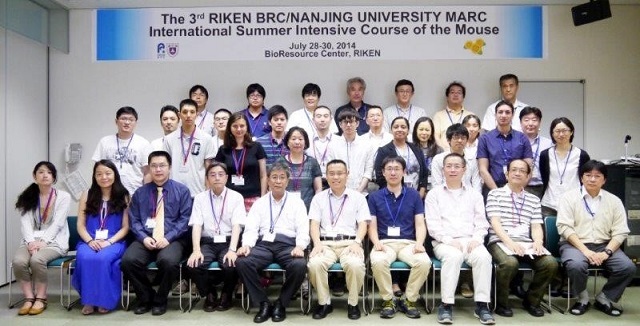 This year, RIKEN BRC took its turn again and hosted the 3rd course from July 28 (Mon) to 30 (Wed) in Tsukuba. There were 18 participants from 5 countries. Classes were given by lecturers including five from Nanjing University, one from Fudan University in China, and eight from RIKEN BRC as listed below. Also, Drs. Takaoki Kasahara and Shigeyoshi Itohara, both from RIKEN Brain Science Institute as well as Dr. Toshihiko Shiroishi of National Genetics Institute were invited to deliver keynote lectures. 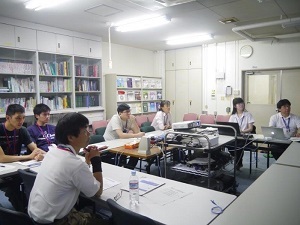 Moreover, a special lecture was given by Dr. Gen Yamada, Professor of Wakayama Medical University. The course of this year consisted of 18 lectures, specifically focusing on brain. During the sessions for open discussion, participants actively asked questions to the lecturers and extensively engaged in discussions. Among enthusiastic students, Mr. Hossam Mohamed, who was most actively involved in many discussions, was given "The Exemplary Participant Award." On July 30, the last day, two training courses, one demonstration, and two lab oratory tours were held for the participants to choose one of them according to their preferences. The next 4th Summer Course is planned to take place from July 27 (Mon) to 29 (Wed), 2015 in Nanjing University. 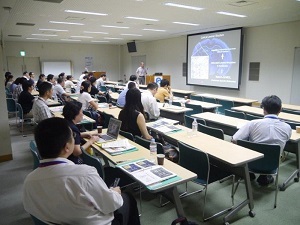 The 3rd Summer Course was supported partially by the co-sponsorship of Japan Society for the Promotion of Science (JSPS) and Natural Science Foundation of China (NSFC) within the framework of Bilateral Joint Research Projects/Seminars.